The Other La Bohème is a tale of life, loss, love, and opera among a group of friends called the Dolci Quattro ('The Sweet Four'). The four maneuver through the ups and downs of their lives as they prepare to take major parts in Leoncavallo's La Bohème opera. It is in many ways a romance, but for the most part this is a novel about the lives of four friends tied together by their love of opera and determination to follow their dreams. This novel is suffused with opera. The author certainly knows the art well and understands what it takes to be dedicated singer. Where many writers would gloss over the more technical details of a concert, each one is described in loving detail here. Every singer is constantly involved in practicing their part. The drama and backstabbing of the art world is also on full display, as well, from conniving understudies to calculating social climbers. Every reaction and interaction felt realistic. People reacted in sane and very real ways, and even cruel action shad their foundation in very human needs and desires. Only one tertiary character can really be considered a villain, and her part is minute. The Other is very well-written, though readers should remember it is an adult novel through and through, though a sweet one, when all is said and done. 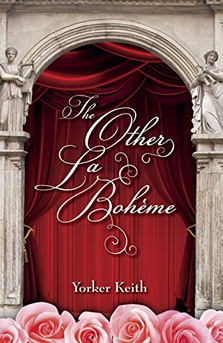 If you would like to read a novel about a different kind of artistic world, full of the challenges that come to people when they chase their dreams, The Other La Bohème is second to none. "No more anguish, no more misery, no more suffering. Come, sleep; take me away."